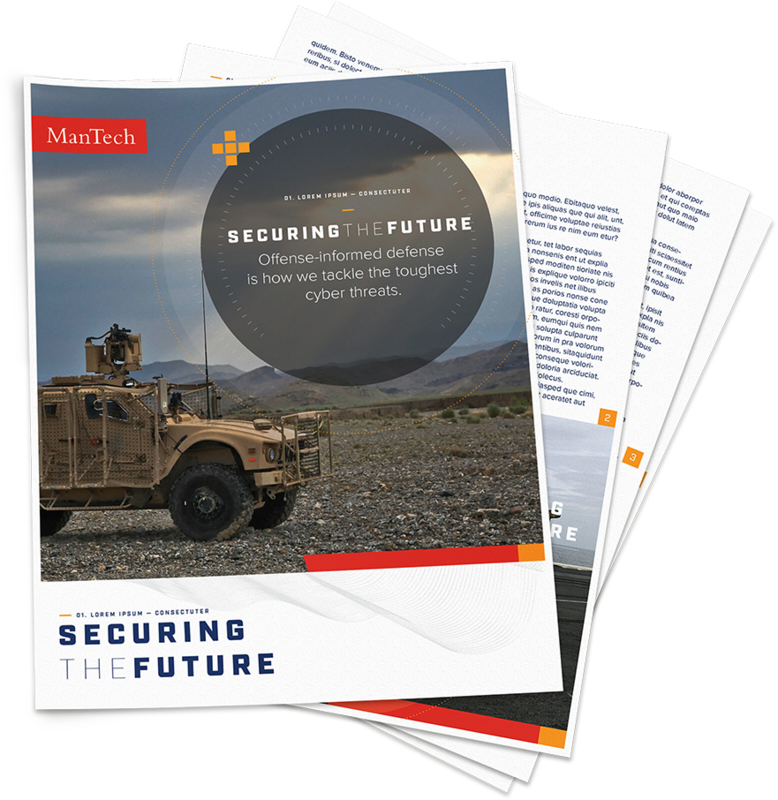 ManTech is a multi-billion-dollar public company that provides subcontracted technological services to the US government. 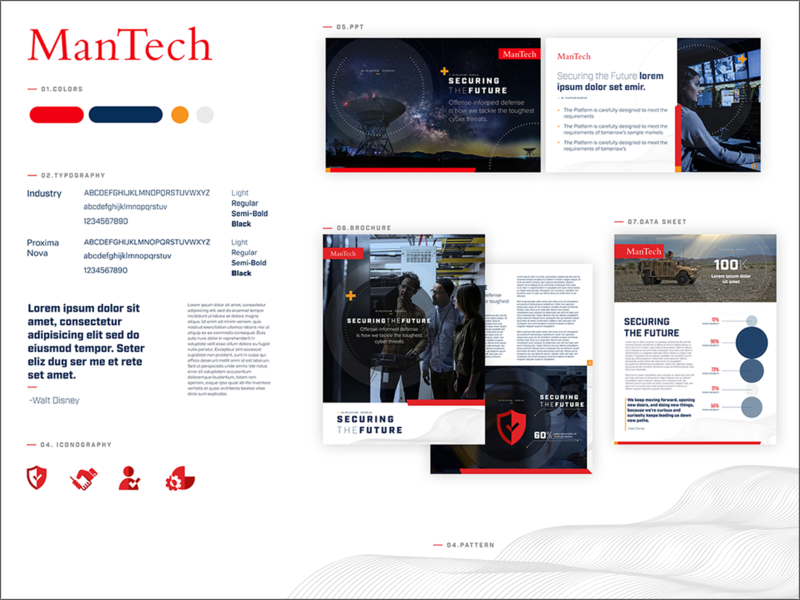 The ManTech team chose Bluetext to take its brand to the next level and transform its online presence – in less than 6 months. Bluetext designed a fresh, bold look and feel that embodies ManTech’s cutting-edge capabilities and sets the company apart within its industry. The designs and collateral made thoughtful use of ManTech’s color palette, balancing the brand’s vibrant red tones with whitespace. 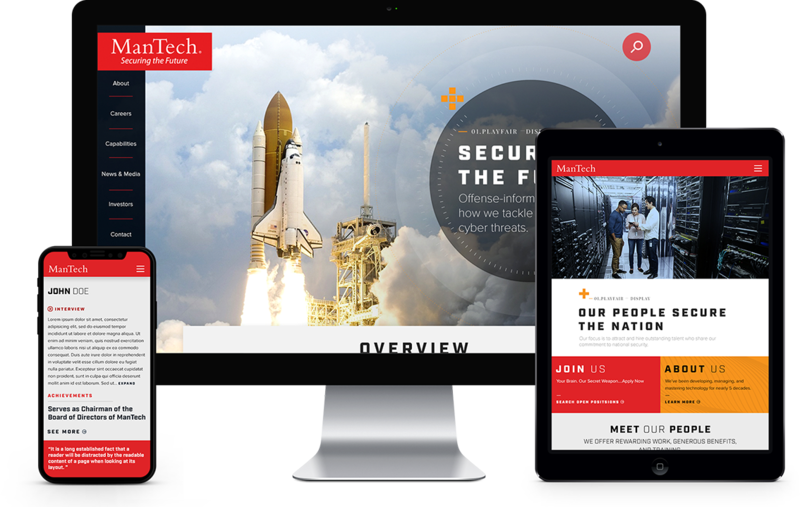 The use of dynamic motion throughout the visual identity showcases ManTech’s innovation and adaptability, always moving forward to meet the evolving technological needs of the government. 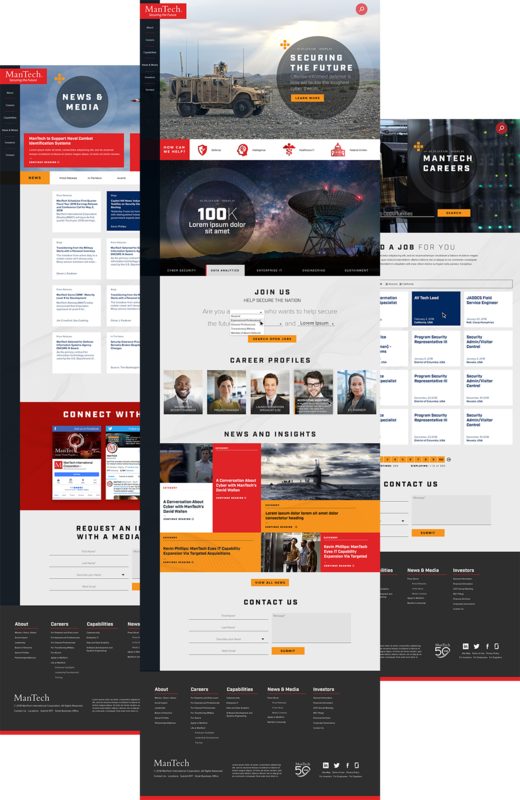 ManTech and Bluetext worked together to design, architect, and develop a fully responsive site with an enhanced user-experience. 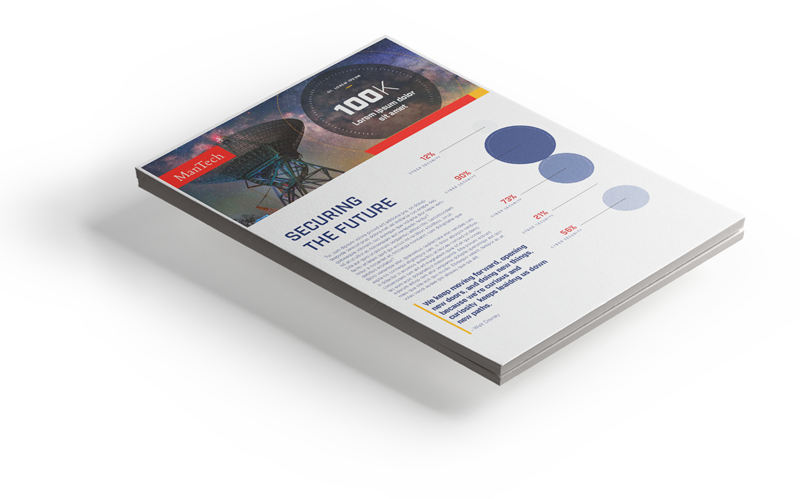 The intuitive, well-organized design drives users to their needs quickly and functions as a lead-generation tool. The new site also provides a new experience to recruits with a seamless integration of job application workflow, allowing prospects to quickly search and filter jobs relevant to their specific interests and experience. 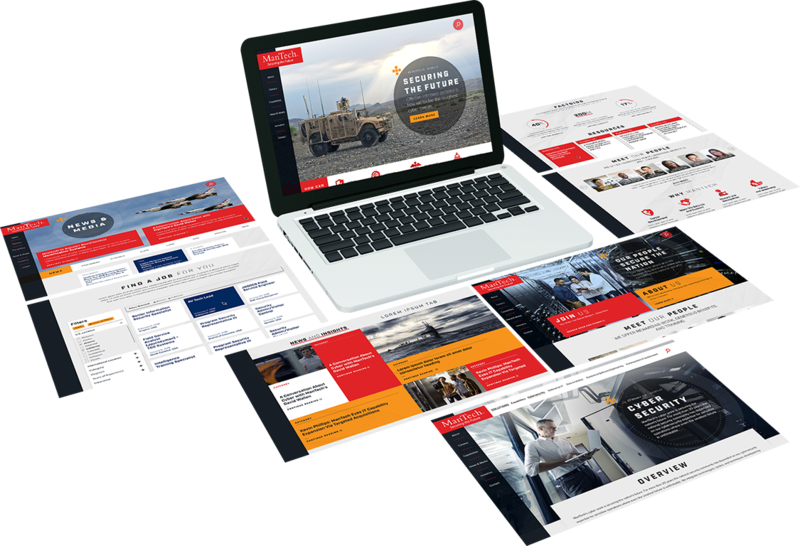 The site was built on a Drupal 8 CMS platform to provide the flexibility and scalability the large enterprise needs to support its digital marketing initiatives. The team conducted a comprehensive content overhaul and developed a strategic SEO plan to make ManTech.com an organic SEO over-achiever. The ManTech marketing team is now empowered to “own” their digital platform and market to their users, no longer requiring involvement of the development team. 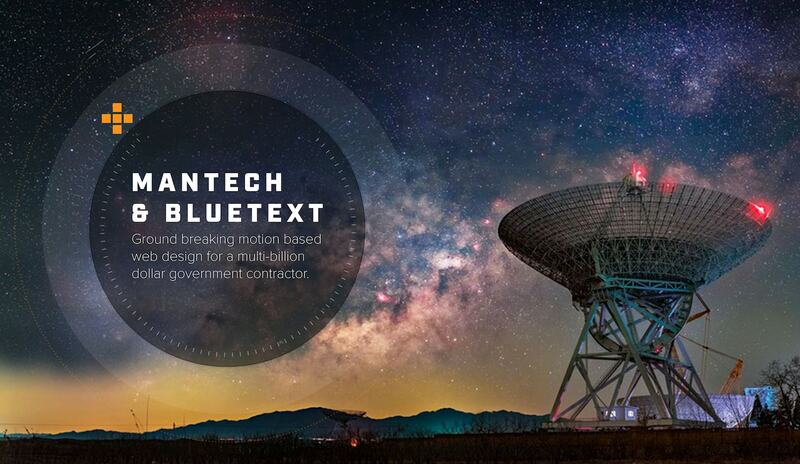 One of the key aspects that sets ManTech’s new site apart is the use of motion. Bluetext produced a series of videos for the site, weaving ManTech’s suite of capabilities into one cohesive and powerful story. These videos highlight ManTech’s mission-driven brand while educating potential customers on its world-class solutions. Looking to maximize your brand?